Eurosistemi bottle and carton conveyors. The line has been well maintained using original equipment suppliers spare parts and can be seen working. 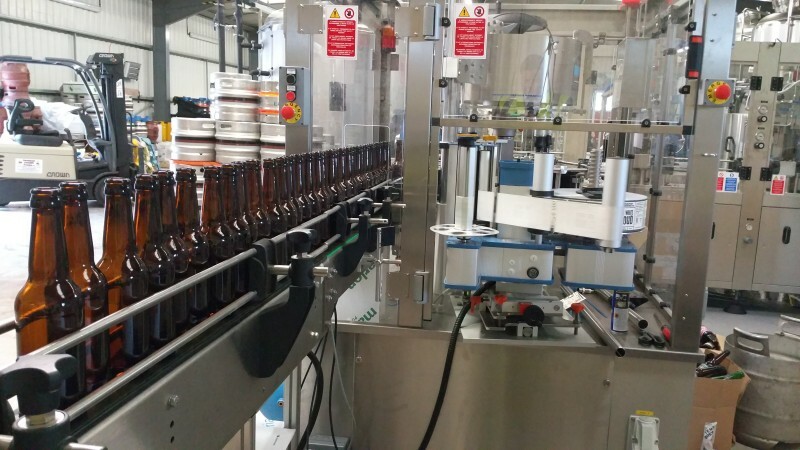 Complete with one sets of bottle handling parts for 330 ml and 660ml non returnable glass bottles. Can be seen working by appointment in Scottish Borders. Offers are invited in the region of £55,000. 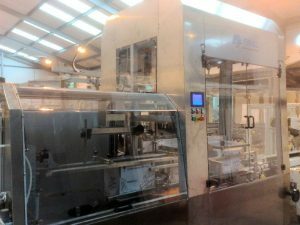 The machine supplied by Enterprise Tondelli and manufactured in 2008 by WAB Srl in Italy serial no. C089A-12ADV but never installed due to a change in the business. 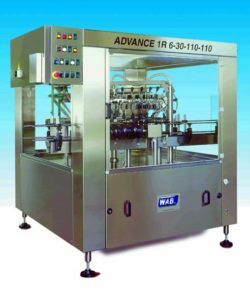 Model :- Advance LT 1S 4-12-212-157 is a large pitch 12 head rotary static nozzle air rinser designed to handle up to 2 litre glass bottles up to 3,000 bottles per hour and complete with 10 sets of bottle handling parts for cylindrical, square, rectangular and kidney shaped flasks – glass and PET. The machine has quick release grippers and can be supplied with bottle and neck change parts to your requirements – cost to be advised once the configuration is known. The model is still current production so all manuals, spare parts and support are readily available. The machine was manufactured in 2011 by Fipal Srl in Italy serial no. E0911. It consists of a monobloced carton erector with a pick and place packer and taper. The stainless steel unit is rated at up to 1080 cartons per hour when working with two heads. The machine has quick release head system and can be supplied with a new head to your requirements – cost to be advised once the configuration is known. Currently it packs 6 pack x 75 cl, (twin heads) 9 pack x 50 cl (twin heads) and single head loading of 24 bottle pack for 250 ml glass bottles. 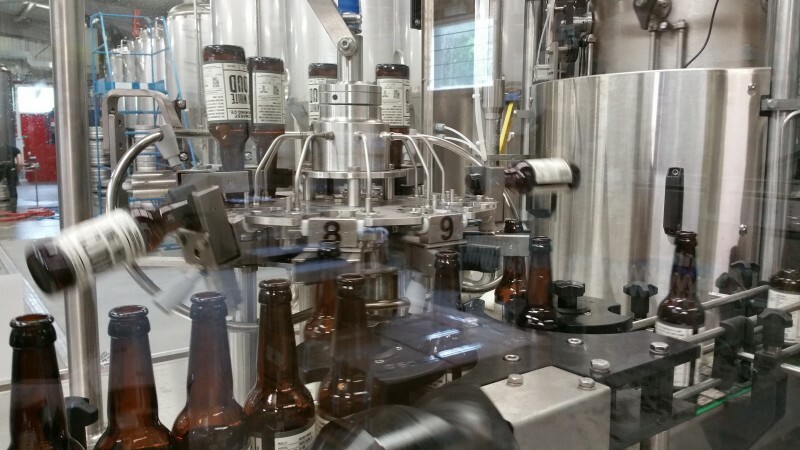 The erected boxes are taped within the machine prior to loading. Loaded packs are then discharged to a free-standing Endoline bottom taper part of the sale. The model is still current production so spare parts and support is readily available. The unit is available as the customer in increasing their line speed with a new packer from Enterprise Tondelli.